The Viking longship might be one of the most recognizable ships that sailed the sea. It features a distinctive shape and form, and it was this style of ship that enabled dozens upon dozens of sudden raids to be carried out on countless villages across a great portion of Medieval Europe. 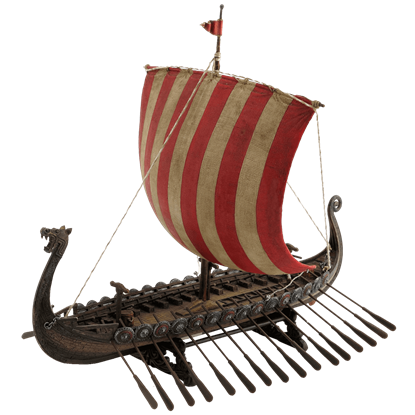 And now, we offer a series of glorious model Viking boats that are not only incredible to look at but historically accurate as well. 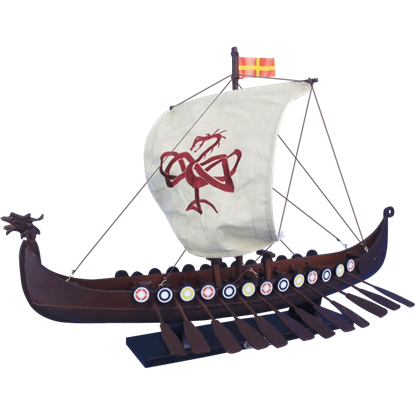 Each of our model Viking boats are based on actual historical designs. In fact, they are modeled after actual Viking boats that were excavated in Norway during the late 1880s and early 1900s. Each of our model Viking boats is as close to historically accurate as they could be made, just as each one is also handcrafted from high quality materials. The end result is a fabulous model boat that is sure to thrill any historical collector or Viking enthusiast. So if you find yourself with a modicum of space to devote to a tasteful model, maybe consider one of our model Viking boats. Not only are they historically accurate, but they are also sturdy and really cool. Longships were used for trade, commerce, exploration, and warfare during the Viking Age. 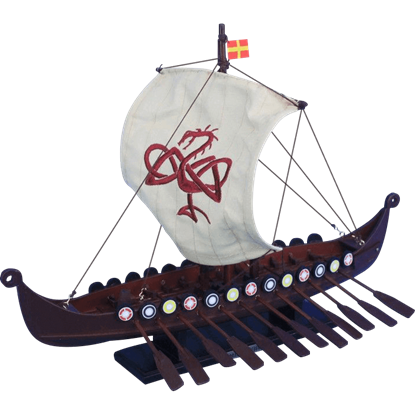 Featuring a roaring dragon head on the bow, this Red and White Viking Longship Replica makes an excellent gift for explorers and reenactors. Crafted with a design that made it easy for raiders to pull up straight onto beaches, Viking ships were a crucial part of Norse naval power. 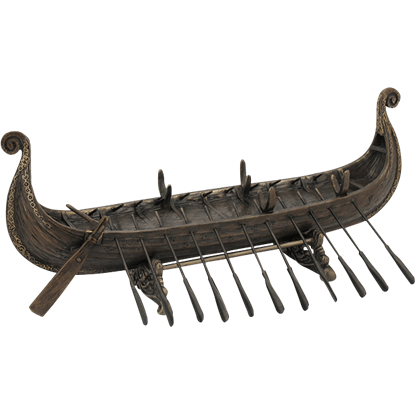 The Viking Boat Statue displays the long, graceful look of this vessel with its oars. One of the secrets behind the success of the Vikings, the shallow design of their longships enabled them to sail up to beaches. 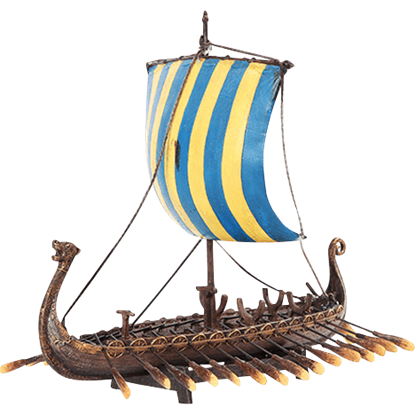 The Yellow and Blue Viking Ship Replica recreates one of these famous vessels in great detail.